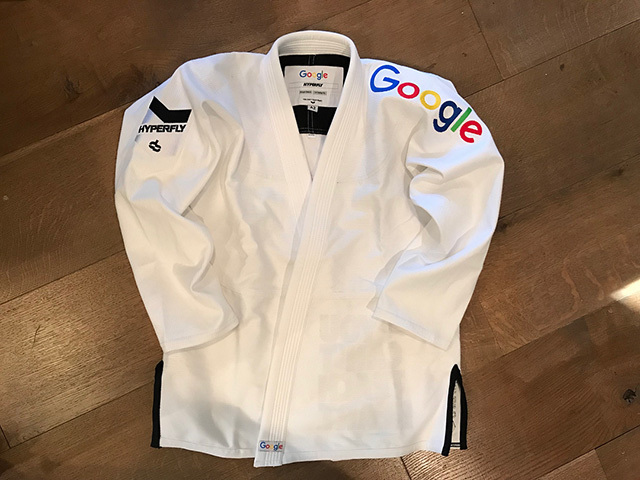 I am surprised we have not seen one yet, a custom Google branded Jiu Jitsu Kimono shirt. I actually am not sure the proper name for this but this is what you wear during various martial arts and I guess Google wanted their own custom versions. Laurenz Pakter posted this on Instagram and wrote "Made for Google JJ program, Not For Sale."